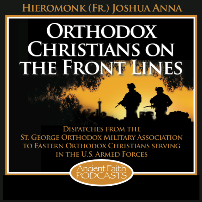 Posted by stgeorgeoma in Armed Forces, Armed Services, Eastern Orthodox, Memorial, Military, News, Orthodox, Religion, Religious, Saints, SGOMA News. On Sunday, October 1, during the All Night Vigil, when the church was overflowing with those at prayer, the Fool-for-Christ St Andrew (October 2), at the fourth hour, lifted up his eyes towards the heavens and beheld our most Holy Lady Theotokos coming through the air, resplendent with heavenly light and surrounded by an assembly of the Saints. St John the Baptist and the holy Apostle John the Theologian accompanied the Queen of Heaven. On bended knees the Most Holy Virgin tearfully prayed for Christians for a long time. Then, coming near the Bishop’s Throne, she continued her prayer. At the Blachernae church, the memory of the miraculous appearance of the Mother of God was remembered. In the fourteenth century, the Russian pilgrim and clerk Alexander, saw in the church an icon of the Most Holy Theotokos praying for the world, depicting St Andrew in contemplation of her. The Primary Chronicle of St Nestor reflects that the protective intercession of the Mother of God was needed because an attack of a large pagan Russian fleet under the leadership of Askole and Dir. The feast celebrates the divine destruction of the fleet which threatened Constantinople itself, sometime in the years 864-867 or according to the Russian historian Vasiliev, on June 18, 860. Ironically, this Feast is considered important by the Slavic Churches but not by the Greeks. (October 2) dating St Andrew’s death to the year 936. The year of death might not be quite reliable, or the assertion that he survived to a ripe old age after the vision of his youth, or that his vision involved some later pagan Russian raid which met with the same fate. The suggestion that St Andrew was a Slav (or a Scythian according to other sources, such as S. V. Bulgakov) is interesting, but not necessarily accurate. The extent of Slavic expansion and repopulation into Greece is the topic of scholarly disputes. 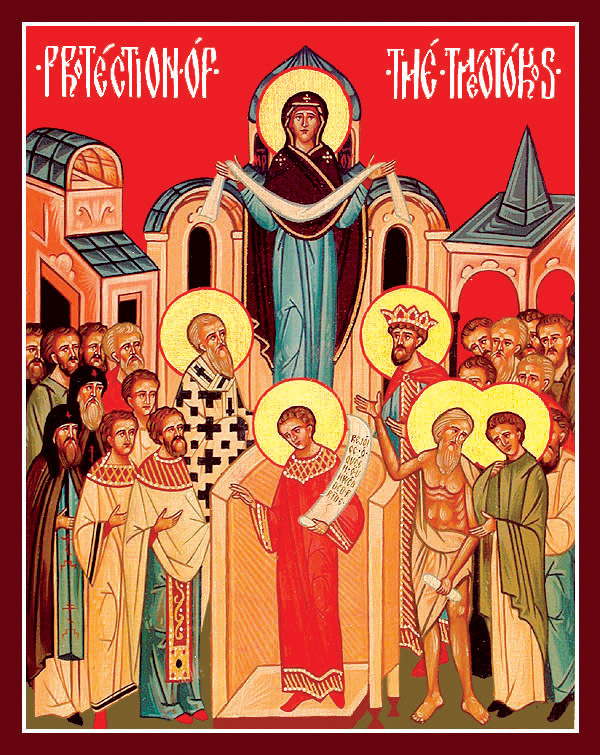 Therefore, in the festal celebration of the Protection of the Mother of God, the Russian Church sings, “With the choirs of the Angels, O Sovereign Lady, with the venerable and glorious prophets, with the First-Ranked Apostles and with the Hieromartyrs and Hierarchs, pray for us sinners, glorifying the Feast of your Protection in the Russian Land.” Moreover, it would seem that St Andrew, contemplating the miraculous vision was a Slav, was taken captive, and became the slave of the local inhabitant of Constantinople named Theognostus. 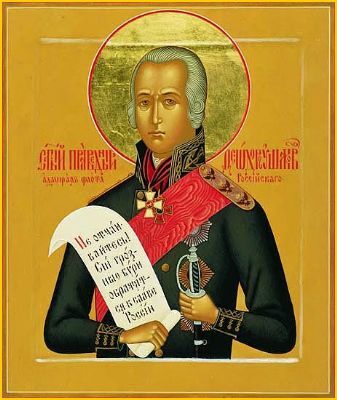 St Theodore, one of Russia’s greatest naval heroes of the eighteenth and nineteenth centuries, was born in 1745. The unvanquished Admiral was the terror of his country’s enemies, and the deliverer of those whom the barbarians had taken captive. He served during the Russo-Turkish War (1787 – 1791), and also fought against the French. Although he fought many naval battles in the Black Sea and in the Mediterranean, he never lost a single one, and he was never wounded. St Theodore once visited the Greek island of Kerkyra (Corfu), where he venerated the relics of St Spyridon of Tremithus (December 12), and gave support and encouragement to the Orthodox Christians in that place. Since his naval reforms were unpopular with his superiors, St Theodore was forced to retire in 1807 by Tsar Alexander I. Having neither wife nor children, the admiral settled in the town of Alekseevo near the Sanaxar Monastery, where he regularly attended services on Sundays and Feast Days. During Great Lent he would stay in the monastery, fasting with the monks and attending the services. Igumen Nathaniel of Sanaxar regarded St Theodore as “a neighbor and a significant patron” of the monastery. In addition to his generous gifts to the monastery, the admiral frequently gave alms to the poor and needy. He never sought earthly glory or riches, but spent his life in serving God and his neighbor. St Theodore died in 1817 at the age of seventy-two. After navigating the sea of life with all its storms and struggles, he entered the calm harbor of eternal rest. He was buried at Sanaxar Monastery beside the church. The monastery was returned to the Russian Orthodox Church in 1991, and St Theodore’s grave was found in 1994. St Theodore was glorified by the Orthodox Church of Russia in 2004, and a reliquary in the shape of a naval vessel was made to enshrine his holy relics. The holy Admiral Theodore should not be confused with his relative St Theodore (Ushakov) of Sanaxar Monastery (February 19 and April 21), a monastic saint who lived from 1719 to 1791. The fiery words of those who had actually participated in the great events in Judea swayed the hearts and minds of the Cappadocians; Christianity began quickly to spread throughout the city and the surrounding villages. When they learned of this, the Jewish elders persuaded Pilate to send a company of soldiers to Cappadocia to kill Longinus and his comrades. When the soldiers arrived at Longinus’s village, the former centurion himself came out to meet the soldiers and took them to his home. After a meal, the soldiers revealed the purpose of their visit, not knowing that the master of the house was the very man whom they were seeking. Then Longinus and his friends identified themselves and told the startled soldiers to carry out their duty. Pilate gave orders to cast the martyr’s head on a trash-heap outside the city walls. After a while a certain blind widow from Cappadocia arrived in Jerusalem with her son to pray at the holy places, and to ask that her sight be restored. After becoming blind, she had sought the help of physicians to cure her, but all their efforts were in vain. The woman’s son became ill shortly after reaching Jerusalem, and he died a few days later. The widow grieved for the loss of her son, who had served as her guide. St Longinus appeared to her in a dream and comforted her. He told her that she would see her son in heavenly glory, and also receive her sight. He told her to go outside the city walls and there she would find his head in a great pile of refuse. Guides led the blind woman to the rubbish heap, and she began to dig with her hands. As soon as she touched the martyr’s head, the woman received her sight, and she glorified God and St Longinus. The woman carried out the saint’s instructions and returned to her home in Cappadocia. There she buried her son and the head of St Longinus. Once, she had been overcome by grief for her son, but her weeping was transformed into joy when she saw him with St Longinus. She had sought healing for her eyes, and also received healing of her soul. 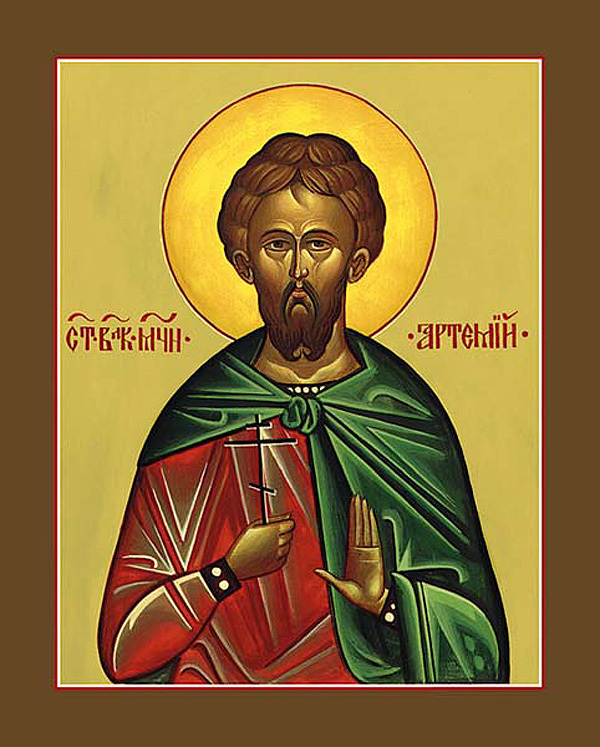 Holy Great Martyr Artemius of Antioch was a prominent military leader during the reigns of the emperor Constantine the Great (May 21), and his son and successor Constantius (337-361). Artemius received many awards for distinguished service and courage. He was appointed viceroy of Egypt. In this official position he did much for the spreading and strengthening Christianity in Egypt. 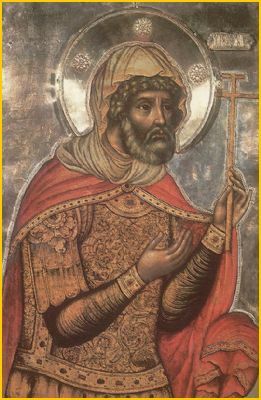 St Artemius was sent by the emperor Constantius to bring the relics of the holy Apostle Andrew from Patras, and the relics of the holy Apostle Luke from Thebes of Boeotia, to Constantinople. The holy relics were placed in the Church of the Holy Apostles beneath the table of oblation. The emperor rewarded him by making him ruler of Egypt. The emperor Constantius was succeeded on the throne by Julian the Apostate (361-363). Julian in his desire to restore paganism was extremely antagonistic towards Christians, sending hundreds to their death. At Antioch he ordered the torture of two bishops unwilling to forsake the Christian Faith. During this time, St Artemius arrived in Antioch and publicly denounced Julian for his impiety. The enraged Julian subjected the saint to terrible tortures and threw the Great Martyr Artemius into prison. While Artemius was praying, Christ, surrounded by angels, appeared to him and said, “Take courage, Artemius! I am with you and will preserve you from every hurt which is inflicted upon you, and I already have prepared your crown of glory. Since you have confessed Me before the people on earth, so shall I confess you before My Heavenly Father. Therefore, take courage and rejoice, you shall be with Me in My Kingdom.” Hearing this, Artemius rejoiced and offered up glory and thanksgiving to Him. On the following day, Julian demanded that St Artemius honor the pagan gods. Meeting with steadfast refusal, the emperor resorted to further tortures. The saint endured all without a single moan. The saint told Julian that he would be justly recompensed for his persecution of Christians. Julian became furious and resorted to even more savage tortures, but they did not break the will of the saint. Finally the Great Martyr Artemius was beheaded. His relics were buried by Christians. After the death of St Artemius, his prophecy about Julian the Apostate’s impending death came true. Julian left Antioch for a war with the Persians. Near the Persian city of Ctesiphon, Julian came upon an elderly Persian, who agreed to betray his countrymen and guide Julian’s army. The old man deceived Julian and led his army into the Karmanite wilderness, where there was neither food nor water. Tired from hunger and thirst, Julian’s army battled against fresh Persian forces. Divine retribution caught up with Julian the Apostate. During the battle he was mortally wounded by an unseen hand and an unseen weapon. Julian groaned deeply said, “You have conquered, Galilean!” After the death of the apostate emperor, the relics of the Great Martyr Artemius were transferred with honor from Antioch to Constantinople. St Artemius is invoked by those suffering from hernias. 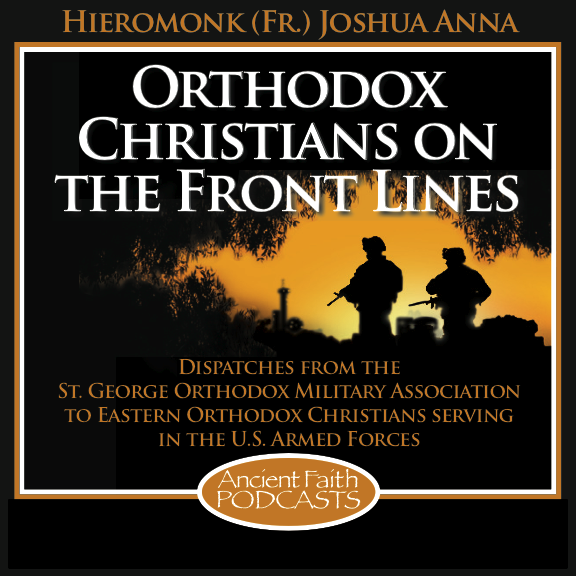 Posted by stgeorgeoma in Armed Forces, Armed Services, Eastern Orthodox, Military, News, Orthodox, Religion, Religious, SGOMA News. Russia’s Orthodox Church priests will soon appear in the Russian army and navy to serve as military chaplains as Russian servicemen especially need spiritual support, Patriarch Kirill of Moscow and All Russia said on Sunday. “By decision of the Russian president, the institution of military clergy is beginning to develop in Russia. So far we are making the first steps… But since a legal foundation has been laid, I hope that priests will soon appear in the army and the navy,” Patriarch Kirill said. The patriarch met on Sunday with the personnel of the 16th squadron of Pacific Fleet submarines in Kamchatka in the Russian Far East. According to the patriarch, servicemen need spiritual support. 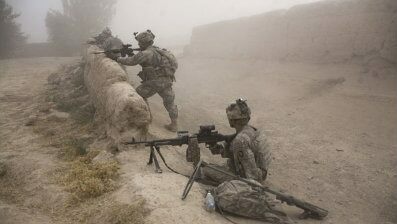 “This is because risks linked with military service are so great that they cannot be compensated by any material benefits,” he said. 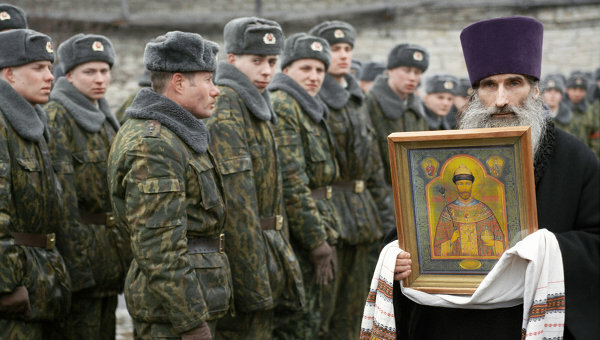 According to the Russian defense ministry, two thirds of the country’s servicemen consider themselves religious. Some 83% of them are Orthodox Christians, about 8% are Muslims, and 9% represent other confessions.